FULL VIEW PLEASE! The thumbnail is really messed up! 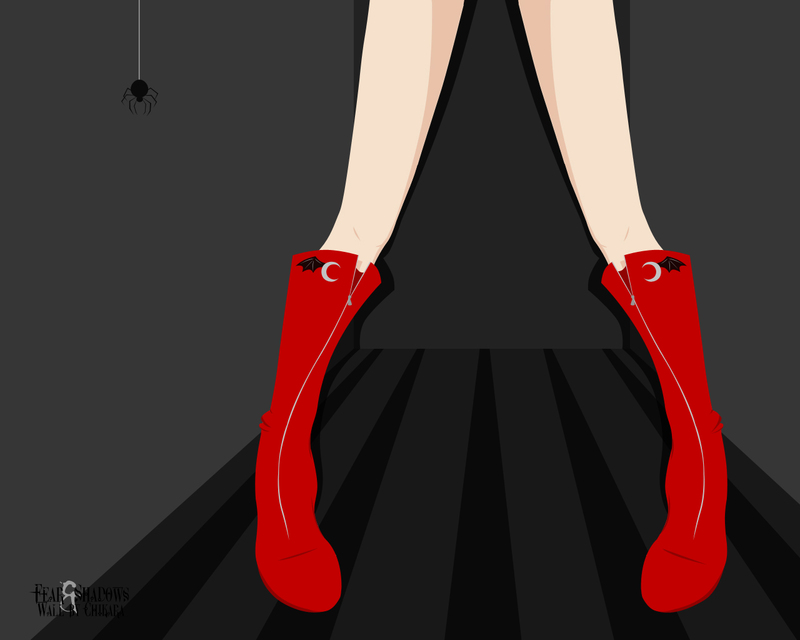 This is an original vector wall, as you can see its got some legs and boots and a spider. I have been in a seriously DARK mood lately and all my artwork is coming out morbid and bloody, so I expanded from paper to walling and took my mood to a new level. About 100 layers I think, and took about 2.5 hours of intense work. Hope you enjoy! I LOVE IT! I love that you've immortalized your buffet status in digital art. it is a good idea, congratulations!